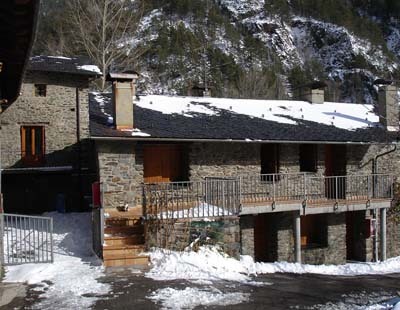 Discover the Iglesia de Sant Joan de Caselles Church in Canillo, Andorra. 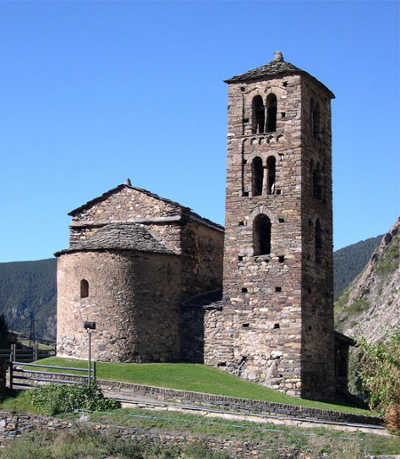 Sant Joan de Caselles Church Canillo - Andorra. 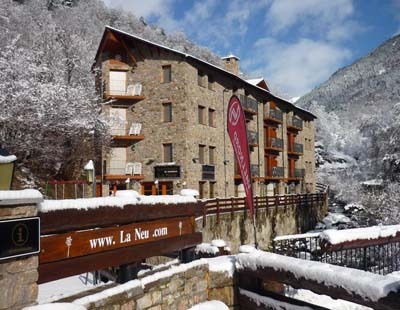 © P. Cultural de Andorra. he building of the Iglesia de Sant Joan de Caselles Church dates from between the 11th and 12th centuries. 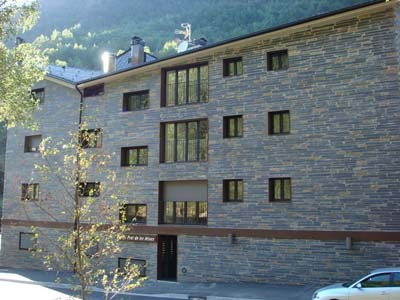 Its construction is based in the architectural plan characteristic of the Romanesque churches of the Principality of Andorra. It has got a rectangular nave covered with wood, semicircular apse and a Lombard style bell tower. The building houses as well two porches, which are thought that were built between the 16th and 17th centuries. In the interior of the Sant Joan de Caselles Church you can see remains of a stucco Romanesque majesty of the 12th century surrounded by a mural pictorial scene that represents the crucifixion with Longinus, accompanied by the sun and the moon. Behind the altar you can see a high artistic quality retable of the 16th century that reflects influences of the Italian and Germanic renaissance. Life and martyrdom of San Juan, the author of the Revelation and patron of the church, are represented on it. 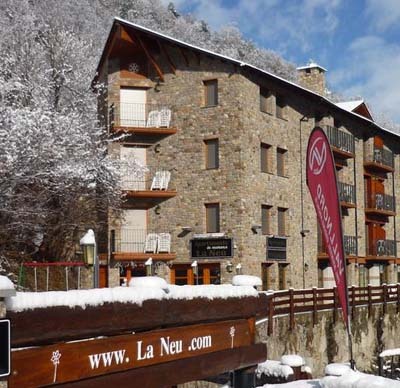 At the foot of the building you will find the Motorcycle Museum, one of the most interesting museums in Andorra, where you can know the history of the motorbike from the early 20th century. Sant Joan de Caselles, Carretera general s/n, Canillo, Andorra. The church is open from June 15th to September 15th. Monday through Sunday from 10:00 to 13:00 and from 16:00 to 19:00, except Sunday afternoon, that the church is closed.